When compared to car accidents, truck accidents are far more devastating. Even at low speeds, they result in more injuries and deaths. When high speeds are combined with the weight, size, and force of a truck, the risk can increase exponentially. If you or a loved one were harmed in a speeding truck accident, you could recover compensation for the damages you suffered. Losing control of the truck. If a driver is speeding around a corner and fails to accommodate for the curvature of the road, the driver could lose control of the truck. A loss of control causes it to collide with another vehicle. Hydroplaning or sliding on ice. If the weather is bad and a truck isn’t going an appropriate speed (which may be lower than the posted speed limit depending on the type of weather), the truck could slide on ice or hydroplane. Unable to brake or come to a complete stop in time. If a driver is speeding and has to come to a sudden stop, he may not be able to in time. The truck could collide with the vehicle in front of them. Many truck drivers compensate for speeding by using their “jake brake,” which instantly grinds the truck to a halt. However, even the jake brake doesn’t always prevent an accident. Decreased reaction time. The faster a truck driver goes, the less time he has to react to other drivers on the road, hazards, instructions, etc. Less reaction time could spell disaster if it causes an accident. A personal injury lawyer who has specific knowledge about truck accidents is an invaluable ally to have on your team. 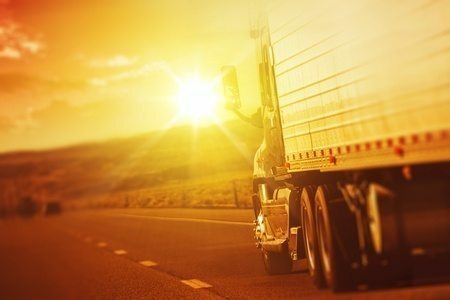 There are many aspects of a truck accident case that are unique and different from other types of accidents. This is especially true when working against big commercial truck companies and their team of lawyers. If you or a loved one were hurt in a truck accident, don’t hesitate to call Appalachian Injury Law for a consultation at (706) 515-1995 or toll-free at (800) 393-8595. Phones are answered 24-hours a day.